Have you ever tried working without wearing work gloves? In about 30-seconds flat, you seem to already have some sort of injury. From bloody knuckles to sore palms, these Black Stallion GX1010-HB Hi-Vis Yellow Synthetic Leather Mechanic ToolHandz Gloves are built t ... (see full details) (see specifications) #REVGX1010-HB. Have you ever tried working without wearing work gloves? In about 30-seconds flat, you seem to already have some sort of injury. From bloody knuckles to sore palms, these Black Stallion GX1010-HB Hi-Vis Yellow Synthetic Leather Mechanic ToolHandz Gloves are built to prevent such injuries from occurring. The heavy-duty dorsal guards, as well as thick foam, all work together to protect your fingers. With this kind of impact protection, these Black Stallion gloves are what your hands need. Without them, life is just a little more painful. The padded knuckles of the gloves are reflective to give them high-visibility, which is yet another safety feature you'll appreciate. The synthetic leather palms have PVC reinforcements for added durability, too. Those protective guards on the yellow gloves will be your new best friends, as well as the padded, high-visibility spandex backs that are flexible to adjust to your movements. Easy slip-on neoprene cuffs make it easy for you to get these on and off, especially when you're in a hurry. The synthetic leather gloves are great for drillers in the oil and gas industry. Falling debris can cause bang-ups you wish you could've avoided, so get your hands into a pair of these Black Stallion GX1010-HB Hi-Vis Yellow Synthetic Leather Mechanic Reflective Gloves. Order yours today from Working Person's Store! I have seasonal work gloves and I love the high visible yellow ones for the winter because if I ever set them down I can see them a mile away in the snow. They form around my hand and are nice and tight bit not to tight making them feel uncomfortable. 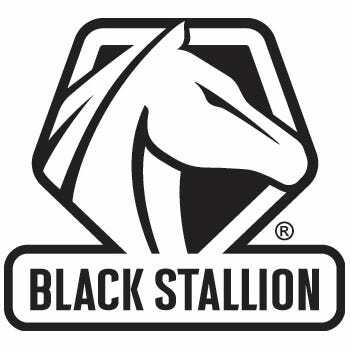 Great price for a good Black Stallion glove that will easily last a year. One of the designs that I think are pretty unique and I have only seen them in these gloves is the padded back hand of the gloves. This has saved my hands from hitting and smacking numerous things over the years from working on cars to changing tires. Great Black Stallion gloves at a fair price and I don't see anyone being disappointed with them. I spent 31 years working for a major electronics/computer company, with the last years 15 handling customer complaints sent to the company's CEO. I prided myself on my handling of these often complex and frustrating issues. Now, In dealing with your company I have found customer service that even I am impressed with! Please pass on my compliments to Yvonne. She is a shining example of how good people (who are given the freedom to make the their own decisions), can make and keep a happy customer! Black Stallion Gloves: GX1010-HB Hi-Vis Yellow Synthetic Leather Mechanic Gloves is being added to your cart.